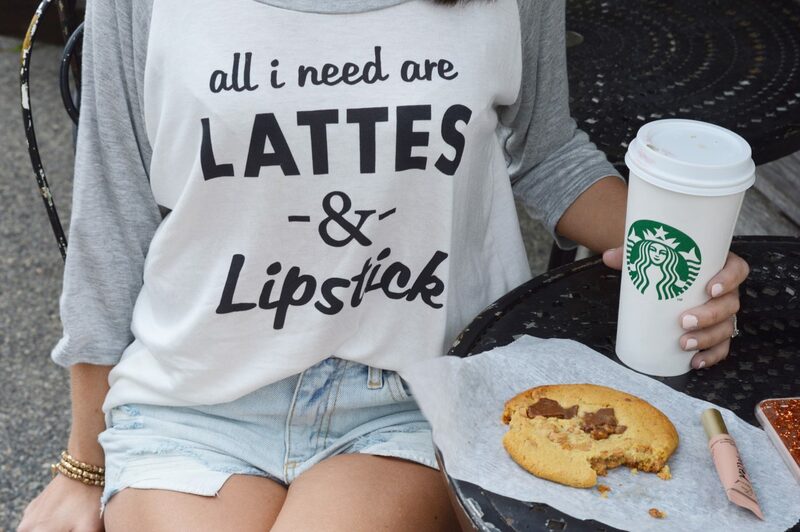 You know when you find a graphic tee that literally summons up your life. I can’t be the only one who gets a a little giddy! A graphic Tee is a staple that everyone needs in there wardrobe. They are cute, comfortable, and so quick to throw on and go. I recently received this cute and totally true tee from the Sweetest Stitch. Being a fashion blogger I tend to dress up for the camera, however, on most days I’m a very simple jeans and tee kinda gal. Last Thursday my family and I did a little cruising around the city. Before we left, My fiance did the good ole “Can u be quick”. I knew exactly how I wanted to wear this tee since the day I saw it online. I knew my favorite cut-off shorts from Topshop, and my very overused and still very loved white converse were going to help me rock this new Tee. I went for the braid because…..well, four day hair and no dry shampoo limited my options. Looks like this is my favorite. I love to be comfortable, however I like to look pulled together and act like I gave a little effort also. Graphic tee’s are having a major moment right now, and with good reason! No matter how many I have it never stops me from adding another cute and comfortable one to the pile. I know most girls love to look fabulous (sometimes) but most of my readers are mothers and hard workers and lets get real, when it’s chill time, we want to feel free and relaxed. So Living Life Pretty girls now is your chance to add another perfect tee to your stash. Keep being Beautiful both inside and out.